The San Antonio Spurs have completed a trade to send disgruntled superstar Kawhi Leonard to the Toronto Raptors. 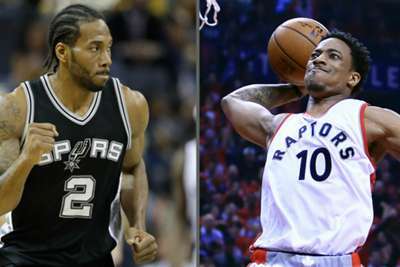 The deal sees the two-time NBA Defensive Player of the Year and Danny Green head to Toronto in exchange for DeMar DeRozan, Jakob Poeltl and a protected 2019 first-round draft pick, the teams announced on Wednesday. Leonard - who was named Finals MVP following San Antonio's title triumph in 2014 - has one year remaining on his contract. The 27-year-old played just nine games for the Spurs last season as he recovered from a hip injury, while media reports suggest he plans to sign with the Los Angeles Lakers when he becomes a free agent in 2019. DeRozan - who has three years and $83million left on his deal, including an early-termination option for the 2020-21 season - is a four-time All-Star who was drafted by the Raptors with the ninth pick in 2009. "Be told one thing & the outcome another," DeRozan said in an Instagram story posted before the trade was made official. "Can't trust em. Ain't no loyalty in this game. Sell you out quickly for a little bit of nothing." Austrian centre Poeltl was also taken ninth by Toronto, with the 2016 selection appearing in all 82 games in the 2017-18 season as he averaged 6.8 points and 4.8 rebounds in 15.8 minutes per game. Green has been a fixture in the Spurs starting line-up since 2011-12, including their championship-winning campaign four years ago. He is scheduled to make $10m next season after picking up his player option in June. The blockbuster move continues a busy off-season for the Raptors, who decided to fire coach Dwane Casey despite posting a franchise-best 59-win season. 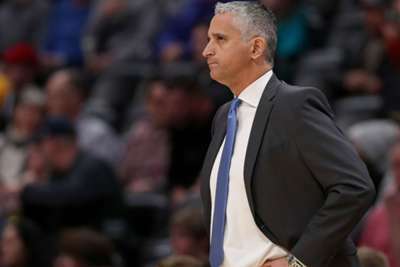 However, they were knocked out in the second round of the playoffs by eventual Eastern Conference champions Cleveland, with LeBron James helping the Cavaliers sweep the best-of-seven series.